These pillows were purchased to go on a bed in our guest room. 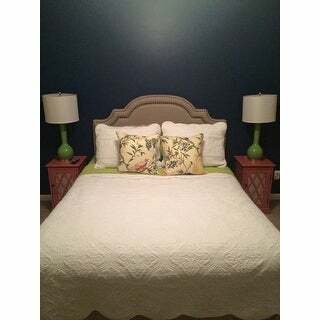 The colors on the pillow helped to pull the room together. They have a nice down filling and the weight of them makes them feel expensive. I’m very pleased with the purchase. A colorful mix of patterns makes this throw pillow a must-have for your styling needs. Detailed with a multicolored floral pattern and a beautiful bird print in a bright yellow hue. 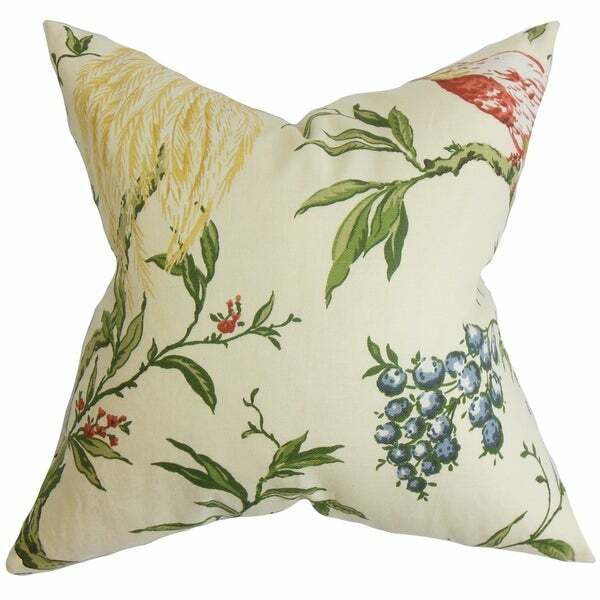 This accent pillow makes a great statement piece to any of your room. This 18-inch pillow blends easily with solids and other patterns. Made of soft and durable materials: 55-percent cotton and 45-percent linen. Hidden zipper closure for easy cover removal. Knife edge finish on all four sides. Reversible pillow with the same fabric on the back side.